“When you are incarcerated, you are constantly told that you’re not human. This law takes valuable steps toward rejecting that false message to instead affirm the humanity and dignity of incarcerated people." Gov. Dannel P. Malloy (D) signed a law that primarily deals with the treatment of pregnant people in prisons but includes a requirement for correctional facilities to have a policy for transgender people. As the Trump administration rolls back rules allowing transgender inmates to use facilities that match their gender identity, Connecticut legislators passed a law last week to ensure their dignity and safety—one that advocates are calling the strongest in the United States. SB 13 was signed by Gov. Dannel P. Malloy (D) on May 14 after bipartisan majorities passed it in the house and state senate. 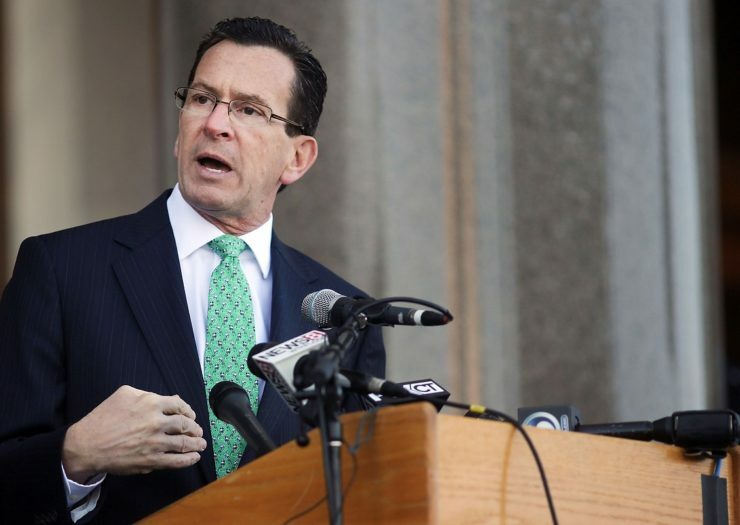 “These policies are part of our ongoing efforts in Connecticut to ensure that we are making strides that reduce recidivism, that end the cycle of crime and poverty, that continue to drive crime down even lower, and that ultimately results in permanent improvement and reformation instead of permanent punishment,” Malloy said in a statement. The law primarily deals with the treatment of pregnant people in prisons but includes a requirement for correctional facilities to have a policy for transgender people, David McGuire, executive director of the ACLU of Connecticut, told Rewire.News. “We had discussions with the governor’s office and the commissioner of corrections. Ultimately we were able to work in what you now see in section 8, which is I think a very significant provision that now moves us to the front of the country, I believe, in terms of making sure that transgender prisoners are treated in a way that maintains their dignity, health and constitutional rights,” McGuire said. A few years ago, McGuire said, he worked with a female transgender prisoner in a maximum security prison who ended up in an all-male facility and received disciplinary tickets for refusing to be searched by a male corrections officer. The federal Bureau of Prisons (BOP) under President Obama was instructed to “recommend housing by gender identity when appropriate.” This meant prisoners could be housed in a prison that matched their gender identity. The language was removed from the BOP Transgender Offender Manual as part of the Trump administration’s sustained attack on transgender people. The law’s gender identity provision goes into effect July 1 and has the support of Connecticut Department of Correction Commissioner Scott Semple. Transgender and equality advocates celebrated the legislative win last Wednesday at the New Haven Pride Center, in an event organized by CT Equality, one of the state groups that pushed for the bill. “Transgender individuals are among the most vulnerable people within our systems of incarceration, facing daily harassment, humiliation, degradation, and abuse. 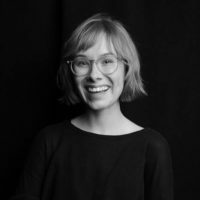 With this update to the law, Connecticut is acknowledging that it is unacceptable for transgender people to face additional punishment simply for being who they are,” Jennifer Levi, Transgender Rights Project director for GLBTQ Legal Advocates and Defenders, said in a statement. Effective October 1, the new law prohibits the shackling of pregnant inmates during labor; ensures they get proper parenting, prenatal and postpartum support; requires facilities to provide free feminine hygiene products; creates child-friendly visitation policies; and prohibits staff of the opposite gender from viewing or interfering with inmates when they undress or use toilets and showers. Some of the ideas came from previously incarcerated women who testified before the General Assembly. “When you are incarcerated, you are constantly told that you’re not human. This law takes valuable steps toward rejecting that false message to instead affirm the humanity and dignity of incarcerated people,” Tiheba Williams-Bain, founder of Women Against Mass Incarceration and a member of the ACLU of Connecticut’s Smart Justice campaign, said in a statement.